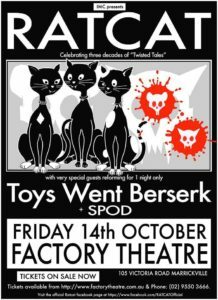 Friday night in Sydney at The Factory, Ratcat and Toys Went Berserk celebrate 30 years of making noise and music. I’ve been invited to be the DJ and MC for the night and I’ll be playing some of my favourites from the 90s. Just a small sample includes Clouds, Bjork, The Sharp, Caligula, Frente, The Cardigans & TISM. 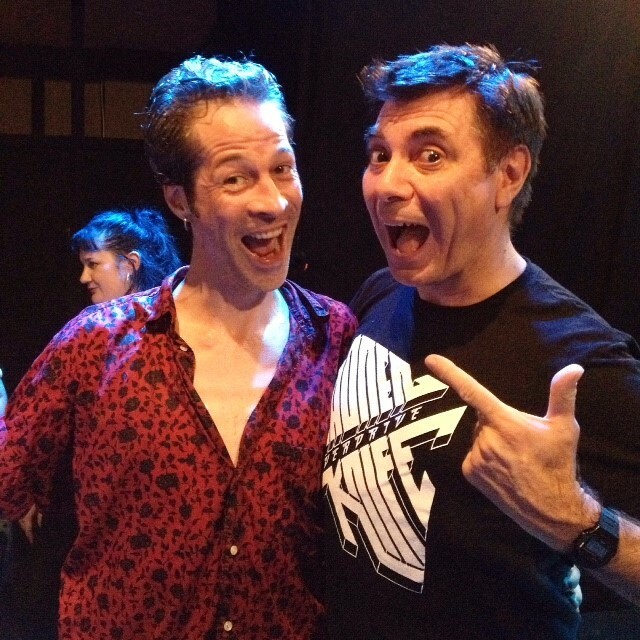 Have a listen to Simon Day back in the day, 1993. Simon Day interview last year looking at the history of the band from a nearby bus stop. See you there on Friday night!